Please be aware that while most rules for the 2 leagues have been aligned, there are some important differences which are specified in this document. Please ensure that all players are conversant with these rules before playing matches. PLEASE MAKE SURE YOU CONFIRM YOUR MATCHES AT LEAST 4 DAYS PRIOR TO THE MATCH. 2.2 Babolat Winter League: Each pair plays two sets against each opposing pair with the tie break operating at 6 games all in every set. 1 point is allocated for every set won. The team with the greatest number of point s shall be the winner of that division. 2.3 Babolat Summer League: Teams competing in Divisions 1-4 MUST play the best of 3 sets in both rounds.The tie-break will operate at 6 games all in every set. In Division 5 and below the first round will consist of 2 tie-break sets. The second round (1 v 1 and 2 v 2) shall be the best of three sets with the tie-breakat 6 games all. If BOTH Captains agree at the start of the afternoons play a Championship Tie Break (a tie-break to 10 points with 2 points clear and with change of end every 6 points) may be played in place of a third set. If one captain does not wish to play a Championship Tie Break then a full set (with normal tie-break at 6-6 games) must be played. One point is allocated for every set won. The team with the greatest number of points shall be the winner of that Division. Babolat Summer and Winter League: on ONE occasion ONLY during the course of the season they may field just one pair. If on a second occasion a team can only field one pair then it must concede the match (see3.5). The team fielding one pair shall have one point deducted from its match total. 3.1 It is the responsibility of the HOME team to phone the visiting club at least 4 days prior to the match. 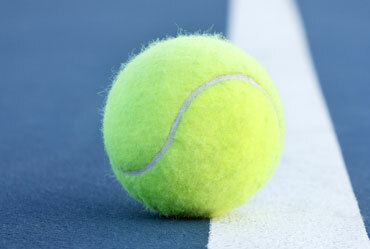 Team captains must always confirm the match STARTtime, DATE and LOCATION OF COURTS. Email contact is also acceptable but confirmation that any email has been received must be sought. If no such confirmation is received then telephone contact must be made and efforts must be made to try other team captains listed on league planner or the Match Secretary. If, on the day of the match, the visiting team captain has had no contact from the home team and has him/herself attempted contact but been unsuccessful, then that team should arrive at thevenue of the match regardless. If a visiting team arrives, and the home team is not present, then the visiting team will be entitled to claim a walkover provided that the home team is at fault (see3.8). 3.2 Matches in both the summer and winter seasons are scheduled tostart at either 10:00 am or 1:00pm. Players must be on court and ready to play at the scheduled time. If an alternative time is mutually agreed, players must be on court and ready to play at that time. 3.3 If any player(s) are absent at the agreed start time, the opponents shall be entitled to one love set for every half hour of lateness in each event in which such players should have competed. However, if no member of a team is present after half an hour a walkover can be claied. Players must not leave the venue once the match has commenced even during a rain break. 3.4 All clubs must arrange their home matches so that there is no restriction on the time available for the completion of such matches. It is not acceptable to allocate a fixed time for a home match on the basis that if a match over runs this allocated time, the match cannot be completed. By their very nature, matches can have quite different finish times, depending on a number of factors, including weather interruptions and how long individual sets last, but each match must have as much time as necessary to run its course, including a reasonable time for warm ups. In the event of the home team being unable to provide sufficient court time to finish the match any outstanding sets will be awarded to the visiting team. 4.1 All changes to the draft fixtures must be agreed by both clubs, and inputted to League Planner, at the latest one week after the Fixtures Meeting. Matches may only be cancelled because of the unfit state of the courts or the weather (including cancellation by a visiting team which considers the roads unfit for travel). 4.2 The League fixtures shall take precedence over Club activities and are second only to National and Regional AEGON TeamTennis fixtures and only when such fixture dates are unknown by 31st March, or officially re-arranged by the organising body. The absence of one player does not constitute a valid reason for changing a League fixture. 4.3 If a match is postponed owing to the weather the HOME team must provide at least 3 dates, which should not clash with the oppposing team's existing fixtures. The home club must input the new date to League Planner within 14 days of the original date. If no new date can be agreed, then the Leagues Committee will fix the date. 6.1 The Captain of the winning club (or the home team in the event of a draw) is responsible for submitting the result of the match online to League Planner. You will need the full names of the players and the full score of all rubbers/sets and games won or lost. This should be done within 48 hours of the conclusion of a match. No results will be accepted if the names of all the players are not included. A record of the score and names of players should be retained by both captains. The losing captain should confirm the result online. 6.2 All players must be BritishTennis Members (BTM) with a BTM number and linked to their club in order to play in the OLTA Babolat Summer and Winter Leagues. 6.3 The result of the match should be agreed between the two captains immediately at the conclusion of the match. It is not permissible to change scores or alter the result in any way after the away team has departed. If the two captains cannot agree the result within 48 hours of the end of thematch, they must notify the Leagues Committee at adultleagues@oxfordshirelta.co.uk giving a full explanation for the reasons for being unable to do so. The Committee will then determine what result should prevail. 7.2 A Club shall not be bound to play the same team throughout any Competition but no change shall be made in the composition of the teams engaged in any match after the start of play. If, however, an unfinished match is replayed in its entirety, the composition of the teams maybe changed. 7.5 Babolat Winter: A player may only play TWO matches for a higher team and remainn eligible to play in his/her desinated team. On the third occasion of playing up, he/she will be committed to that team for the remainder of the season. 7.6 Babolat Summer: A player may only play ONE match for a higher team and remain eligible to play in his/her designated team. On the second occasion of playing up, he/she will be committed to that team for the remainder of the season. 8.1 Players' dress must be suitable sports clothing and footwear. 9.1 Should a dispute take place between two clubs, then any complaint must be put in writing to the Leagues Committee at adultleagues@oxfordshirelta.co.uk within 7 days. This MUST be sent with the endorsement of the Match Secretary of the Club, and NOT directly from a Team Captain or individual player. Communications fromTeam Captains or individual players will not be considered. A copyof the email from the Match Secretary will then be sent to the opposing Match Secretary. The Leagues Committee will take any necessary and appropriate action. 9.3 Teams will be relegated by at least one Division if any form of cheating on match results comes to the attention of theLeagues Committee. 9.4 The Leagues Committee shall consider all formal complaints of misconduct received at adultleagues@oxfordshirelta.co.uk. The decision of the League Committee willbe final in any dispute. 1. The Babolat Winter League will consist of Men’s Doubles and Women’s Doubles. The Babolat Summer League will consistof Men’s Doubles, Women’s Doubles and Mixed Doubles competitions. 2. The Leagues shall be open to all venues/clubs registered to the Oxfordshire Lawn Tennis Association or another neighbouring County Association. 3. Matches must be played on any LTA approved surface, in accordance with the League Rules and within the Laws and Regulations of Lawn Tennis for the time being sanctioned by the Lawn Tennis Association, so far as they are applicable. 4. The Management of the Competition shall be entrusted to the Leagues Committee which shall be a sub-committee appointed by the Management Committee of the OLTA. No changes to these Rules shall be made without the consent of the Management Committee. 5. A Club wishing to enter any Competition shall complete an entry form by the specified date and return it to adultleagues@oxfordshirelta.co.uk. Such notice must be accompanied by an entrance fee to be decided by the Leagues Committee annually, per team, per Competition. 5 (b) For the Summer Competitions in the following year, the Leagues Committee will, where possible, re-arrange the Clubs in each Division in such a manner that Clubs which were respectively first and second in the previous year shall be placed in the Division immediately above the one in which they last competed, and the Clubs which were respectively last and last but one shall be placed in the Division immediately below the one in which they last competed. 5 (c) For the Winter Competitions in the following year the Leagues Committee will, where possible, re-arrange the Clubs in each Division in such a manner that Clubs which were respectively first, second and third in the previous year shall be placed in the Division immediately above the one in which they last competed, and the Clubs which were respectively last, last but one and last but two shall be placed in the Division immediately below the one in which they last competed. 5 (d) Both Leagues: In the event of a tie on points, the result of the match between the two tied teams will decide the higher team position. If that match was a draw then the higher position will be decided by the percentage of sets won out of sets played. If after this calculation the two teams remain tied then the percentage of games won to games played shall decide. If more than two teams are tied, the final standings will be determined by the percentage of sets won out of sets played (if, after this calculation only 2 teams remain tied the result in the match played between them will be used to break the tie). If more than 2 teams have the same percentage of sets won out of sets played, then the percentage of games won to games played shall decide. 5 (e) The Leagues Committee may re-arrange each year the number of Clubs in all Divisions in such manner as it may deem necessary. 5 (f) If any Club or new team, which was not previously entered for any Competition or which having previously entered has dropped out of such Competition shall give notice of its wish to compete, it shall be placed in an appropriate Division based on the playing ability of the team members and in agreement with Leagues Committee. Determine the Division into which each Club entries shall be placed in accordance with 5 above. Make the arrangements for and fix the dates on which the matches in all Competitions are to be played. 7. The Leagues Committee shall give notice to the match secretaries of the clubs from whom entries have been received, the Division into which each club has been placed; and furnish a list of the relevant fixtures; and the dates on which all matches must be played. Dates of matches may be altered if both clubs agree and the change must be made on League Planner within the specified time period. If the two clubs cannot agree the Leagues Committee will fix the date. 8. All clubs must be represented at all fixture meetings and if a match secretary is unale to attend it is the responsibility of the match secretary to arrange a replacement representative.